One hundred years ago this May, President Woodrow Wilson signed the Smith-Lever Act into law. The act established a system of cooperative extension services connected to land-grant universities. The idea was to take all the wisdom and knowledge from the land-grant institutions and make that available to people in their everyday lives – out on the farm, in their homes, in their businesses and in their communities. That was 100 years ago and here we are – we’re still at it. From its beginning, Michigan State University Extension’s emphasis has been on agriculture. Well over half of our federal and state funds go into agricultural programming. Our network of Extension educators makes faculty expertise and university research available to communities. We’re still involved in the same areas today but we’ve also evolved. We’ve looked for new ways to reach people where they are. 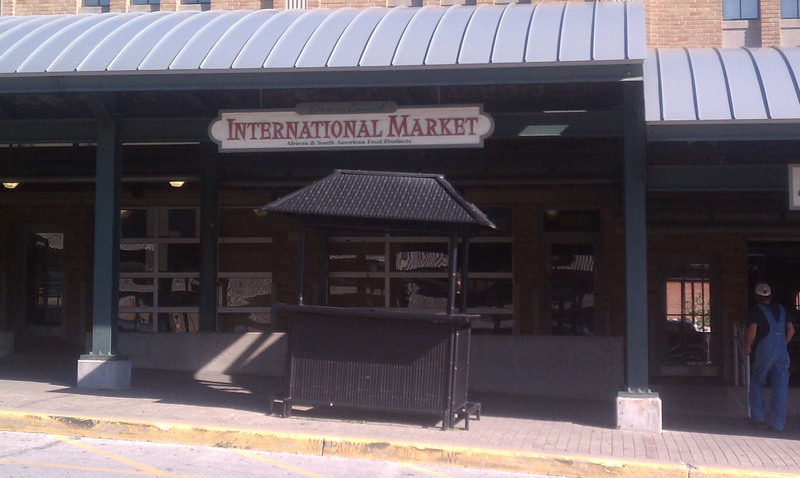 We now have a presence at Detroit Eastern Market and the Grand Rapids Downtown Market where we educate the public on nutrition, gardening and food safety. We will soon have a footprint in the Flint Farmers Market. Our Michigan Fresh campaign further educates on fruits, vegetables, flowers and ornamentals as well as food safety, food storage and preservation, and gardening. We’ve found new ways to reach out to youth. Michigan 4-H Youth Development has grown in one year from 175,000 to 200,000 youth. We are over halfway to our goal of reaching 20 percent of Michigan youth by 2020. We’re getting kids interested in STEM (science, technology, engineering and math) outside the classroom. We’re also helping kids ‒ through a multitude of project areas ‒ develop life skills such as critical thinking, problem solving and decision making. These skills will help them become the leaders and successful, resilient adults of tomorrow. Our placemaking team and community food systems team help communities discover how to attract people. Any challenges we do have, we turn to opportunities. You may want to listen to my conversation with Kirk Heinze that took place March 21 on Greening of the Great Lakes on News/Talk 760 WJR. I talk about how our Michigan State University Extension programs are still life changing and relevant after 100 years. You can read the MLive article here: http://www.mlive.com/environment/index.ssf/2014/03/as_msu_extension_celebrates_it.html. At the end of the article, you’ll find a link to the broadcast. What’s new with Michigan Fresh? Can Michigan Fresh get any fresher? Apparently so. 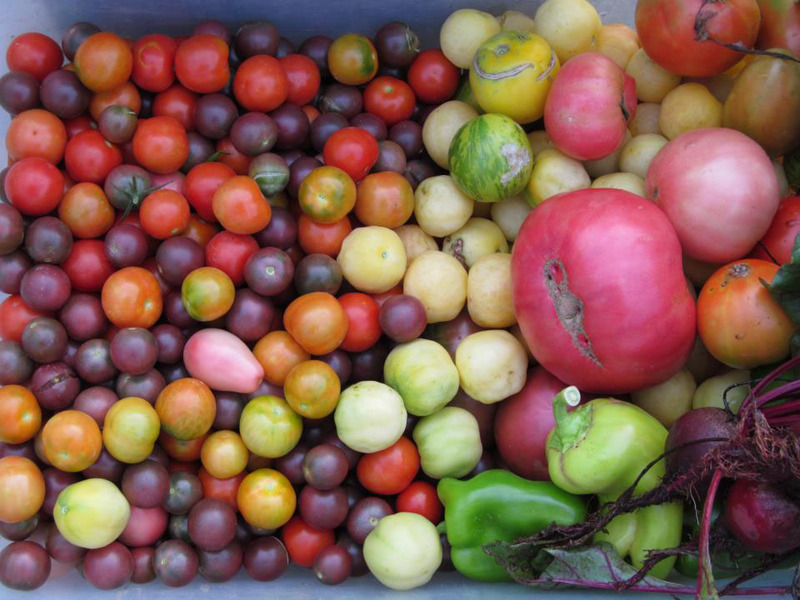 The Michigan State University Extension program that helps people explore the state’s fresh locally grown fruits, vegetables, flowers and ornamentals has updated its website with a fresh new look. 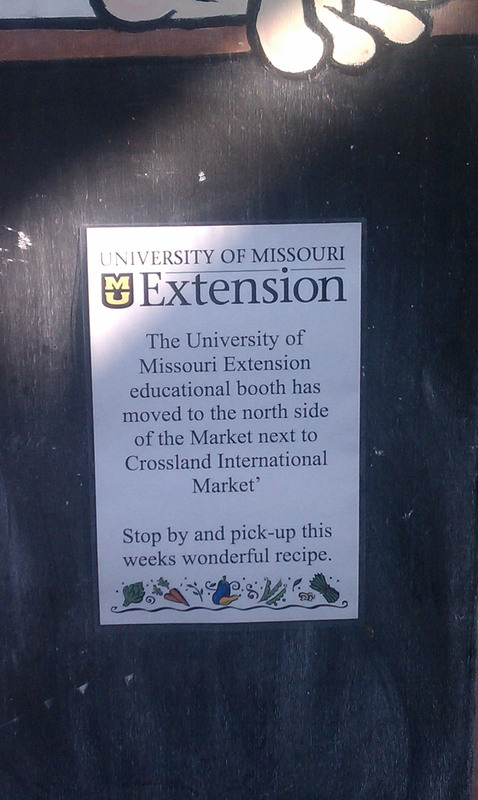 The program, which involves MSU Extension staff members collaborating across institutes, launched May 1, 2012. Back then, we offered three Michigan Fresh fact sheets – on asparagus, rhubarb and starting seeds. Today, we offer nine fact sheets on fruit, 31 on vegetables, nine on general gardening tips and three on food preservation. In addition, we’ve produced five fact sheets in Spanish. Extension educators write the facts sheets designed by Alicia Burnell, Agriculture and Natural Resources (ANR) Communications graphics artist. 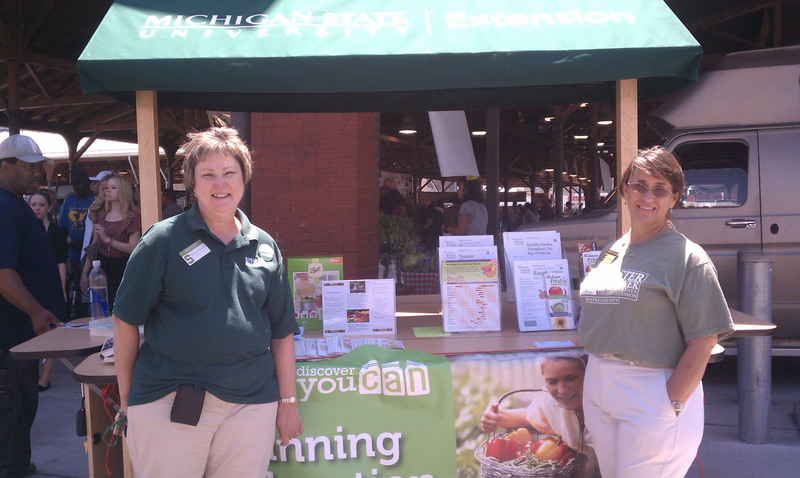 We’ve been promoting the fact sheets and the Michigan Fresh program at the Detroit Eastern Market, the Grand Rapids Downtown Market and across Michigan. We have a new Michigan Fresh flier that explains the program and lists the fact sheets available. It gives some interesting facts about our great state. For example, did you know that Michigan is the leading producer of dry beans and several varieties of annual flowers including geraniums, petunias and Easter lilies? And we’re No. 1 in the nation in production of blueberries, cucumbers for pickles, Niagara grapes and tart cherries. Check out the flier for more Michigan facts as related to food and agriculture. The Michigan Availability Guide lets us know when to buy fresh locally grown fruits and vegetables. So fresh we’re still working on putting it up on the Michigan Fresh website, a new Michigan Fresh fact sheet gives fresh produce donation guidelines for gardeners. Authors and Extension educators Kathe Hale of the Greening Michigan Institute and Eileen Haraminac of the Health and Nutrition Institute let us know helpful tips for donating that extra zucchini to food banks and pantries. In addition, Steve Evans, ANR Communications multimedia production team leader, produced all of the Michigan Fresh videos starring MSU Extension educators and program instructors. Watch them for some great recipes and tips on cooking Michigan produce. In this week’s featured video, Extension nutrition program instructor Maggie Kantola focuses on kale. Kathe Hale coordinates the Michigan Fresh program. 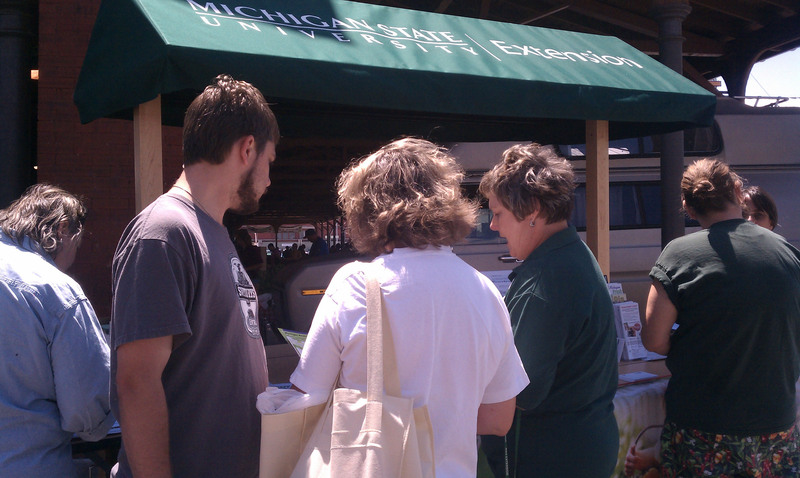 Visit the updated Michigan Fresh website at http://msue.anr.msu.edu/program/info/mi_fresh. Comments Off on What’s new with Michigan Fresh? At a new staff orientation that took place on January 30, I had a chance to meet some great new colleagues. During my comments to the participants, I tried to convey what I think makes Michigan State University Extension professionals special people. The curiosity to gather all the information you can before offering advice, the innate response to teach and facilitate in any setting and with any resources, and the drive, the insistence to make a difference in the lives of others – all of these are what I see as defining an effective Extension professional. I told them that I consider myself extremely fortunate to get to work with a group of colleagues who fit that description. 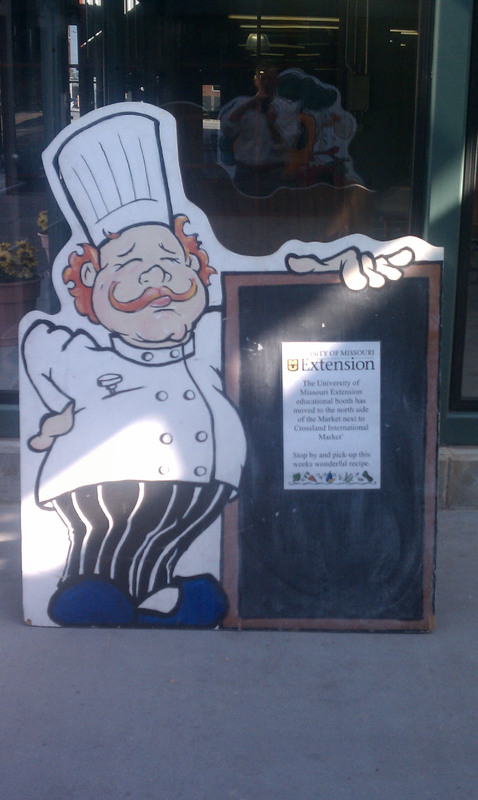 Then I went to lunch and got a dose of what makes Extension professionals special in our discussion around the lunch table. I heard some fascinating life stories, and I want to share some of those in MSUE Spotlight over time because they are instructive and inspiring for me and I think they may be for you as well. The first story I want to share is from Margaret (Maggie) Kantola. Maggie joined MSUE in August 2012 and works as a nutrition program instructor in our Nutrition and Physical Activity work group, based in Detroit. When Maggie moved to Detroit earlier last year, she rented an apartment. 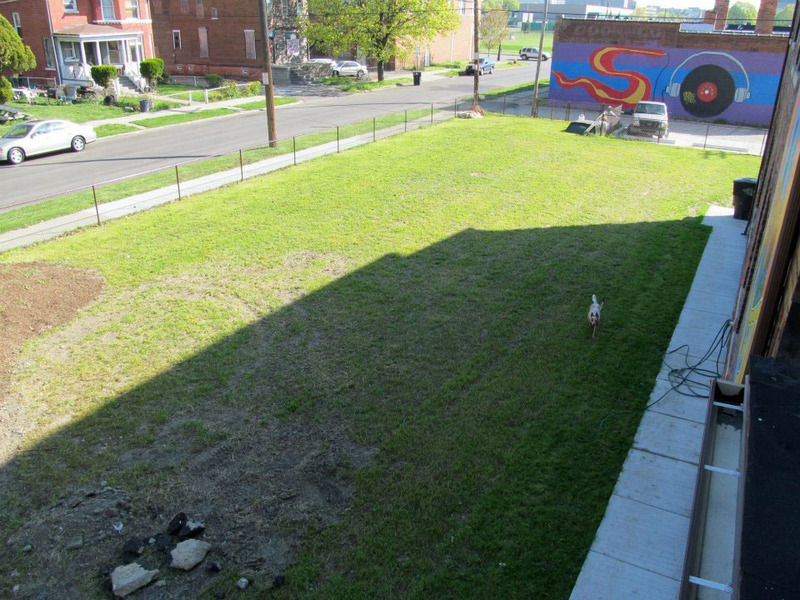 The landlord asked her if she had any ideas about what to do with a 1/4-acre parcel of land next to the apartment building. Maggie asked if the landlord minded if she made money from the land and he said it was fine. 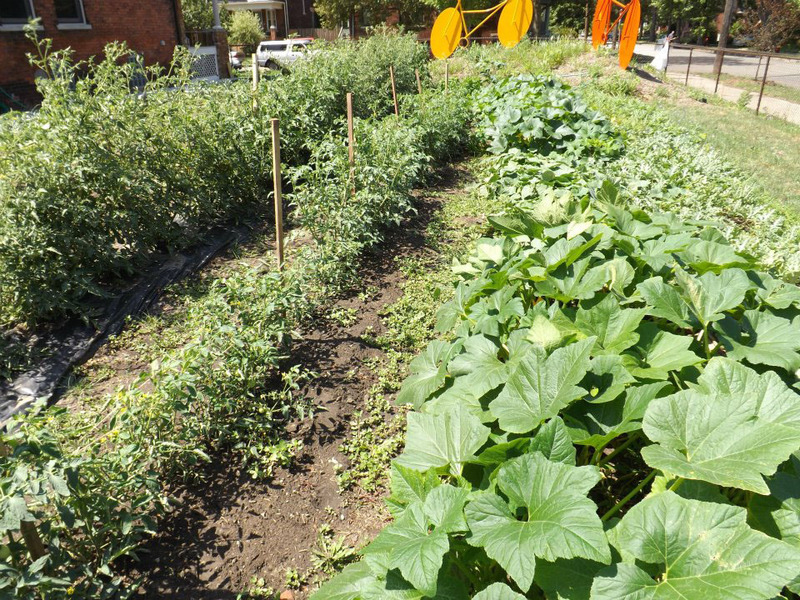 In short order, Maggie converted the vacant lot into a beautiful market garden called CommonHarvest and produced a bounty. 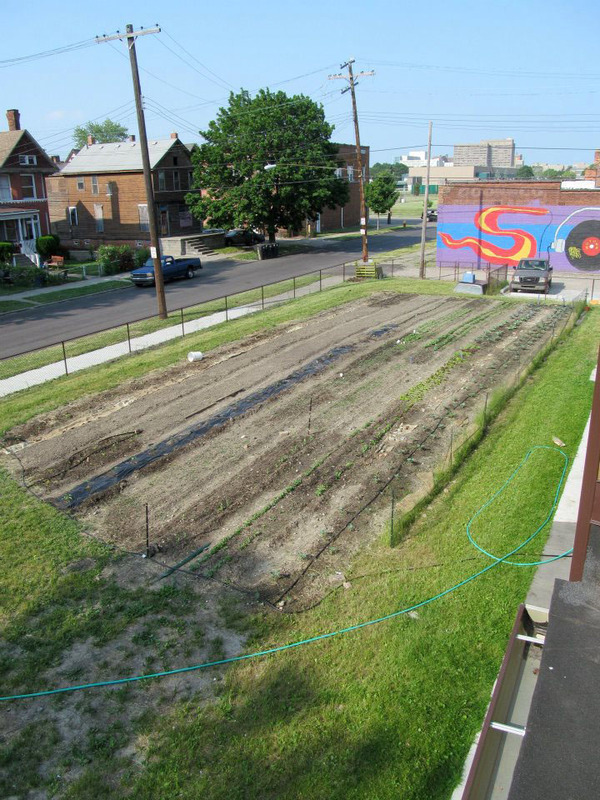 Vacant lot in Detroit, spring 2012, will become CommonHarvest. I was impressed by the story and impressed even more by the photos she shared with me after our luncheon discussion. I share them with you here. Soil prepared for planting in the CommonHarvest lot. I shared Maggie’s story in a presentation I gave two weeks ago at the Agricultural Outlook Forum 2013 in Arlington, Virginia. The forum is an event hosted by Agriculture Secretary Tom Vilsack each year. I was invited to speak about the work of Cooperative Extension in fostering the development of local food systems – growing, distributing, processing and marketing food for consumers who live near the producers. 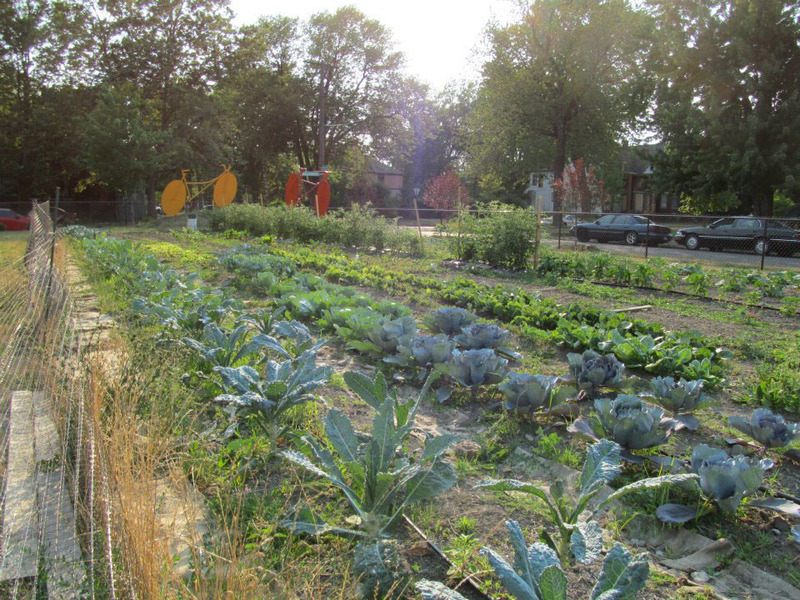 Much of the media attention has focused on food systems developing in urban communities. Our MSUE Community Food Systems work group is working in urban and rural communities, and they provided valuable stories for me to share in my presentation. 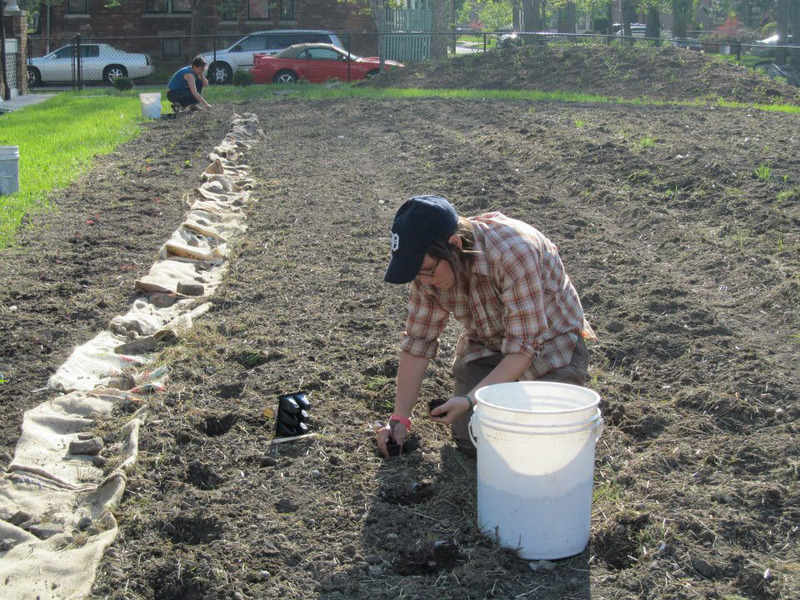 Janelle Palmer plants crops in the CommonHarvest lot. I began my presentation with Maggie’s story as a way to convey what I see as the key driver behind the success of local food systems. I explained that this garden was something that Maggie did on her own, not as part of her responsibilities in MSUE. She was entrepreneurial in her approach, had technical knowledge that she could apply, and used her skills and knowledge to improve her community, and to improve her life and the lives of others. She made a difference in the lives of others. That energy – whether it comes from Extension professionals or others – is making new neighborhoods, new economic activity and new ways of living in our urban communities. If you go to a meeting of people involved in local food systems, if you shop at a farmers market, if you hang around Extension professionals like Maggie, you can feel the energy and take hope from the fact that THIS is what is helping to create our cities of the future. Creating the parts of new food systems won’t solve all of our challenges in urban and rural communities across Michigan. But it sure will help move us in a productive direction. It’s easy to show photos of urban decay and ring our hands. It’s easy to read stories of urban violence and run away. It’s easy to read about government financial distress and give up. In the midst of that, the human spirit needs to grow something, and Maggie showed me how simple that can be and how much it can change perspectives on vacant lots, stressed social interactions and hopeless financial circumstances. I don’t know the answers to those challenges, but I’m willing to bet that the work of young and old in constructive ways like Maggie’s CommonHarvest is laying the foundation for the solutions we’re seeking. Thanks, Maggie, for giving me a story that illustrates what we do as Extension professionals. Heirloom tomatoes from CommonHarvest offered for sale in fall 2012 at the Detroit Eastern Market.